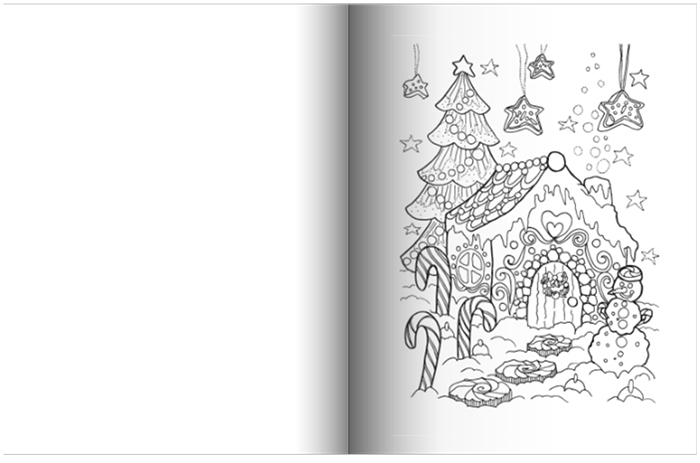 🎅🎄🎁 Christmas Coloring Book Is Here! 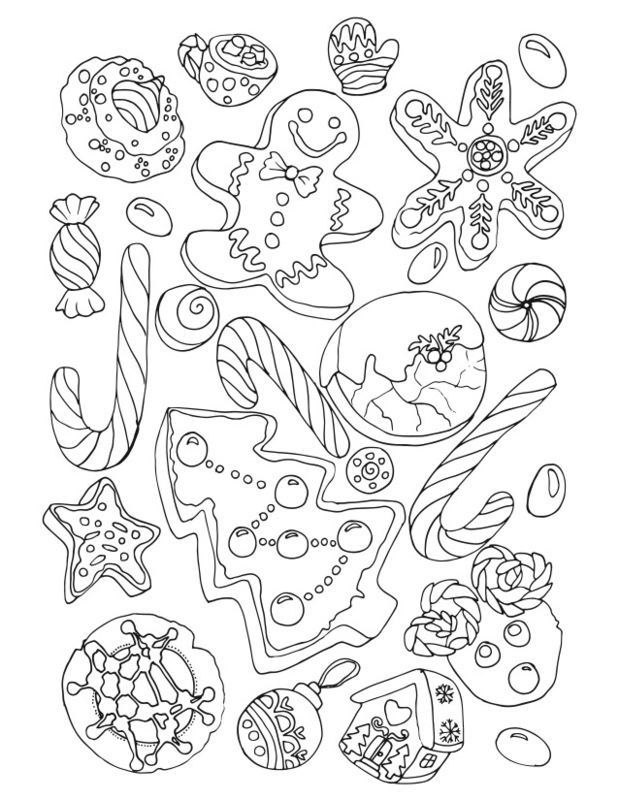 There is a gingerbread man, snowflakes, happy snowmen, a landscape, a Christmas house, sweets, Christmas wreath with bells, cinnamon, and candies, hot chocolate cup and more. 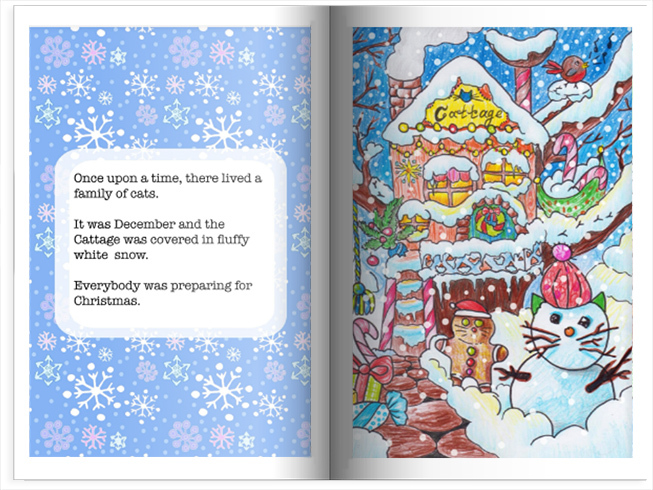 Today I wanted to tell you about two new Christmas books for kids. 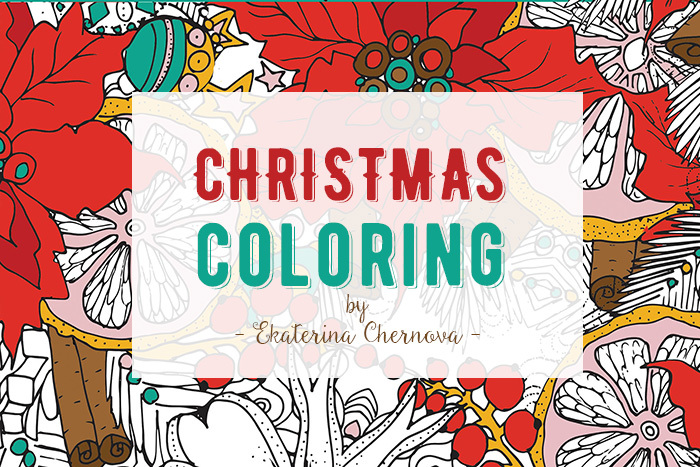 I have created patterns and also colored in the illustrations with colored pencils. The idea actually came from you, me readers. 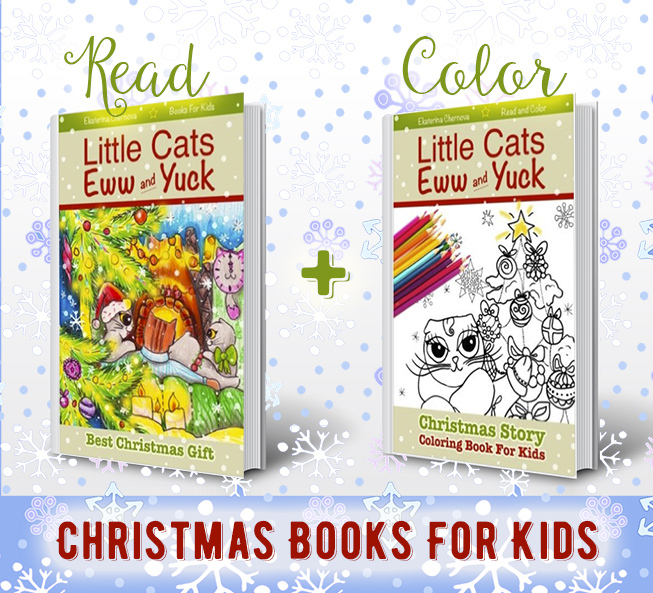 When the first children’s book “Little Cattle Cats Eww and Yuck: Sweet Breakfast” came out, I got a number of emails from readers asking to make this story book for kids as a coloring books, because children were saying they want to color in the kittens. 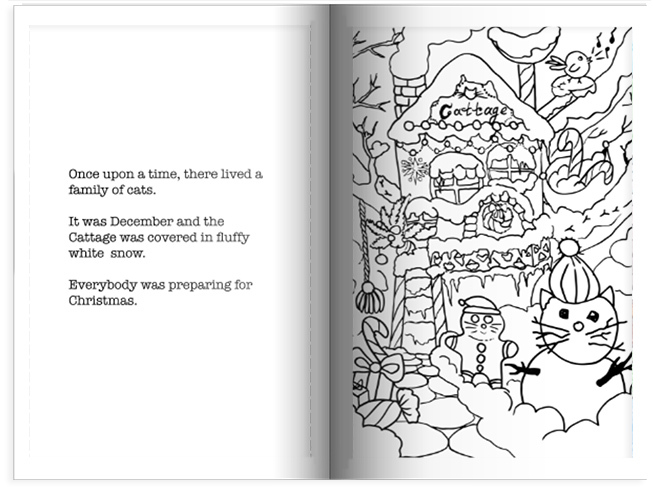 So I listened to the feedback and created the coloring version of the book. And now, I’ve done the same for the Christmas story. 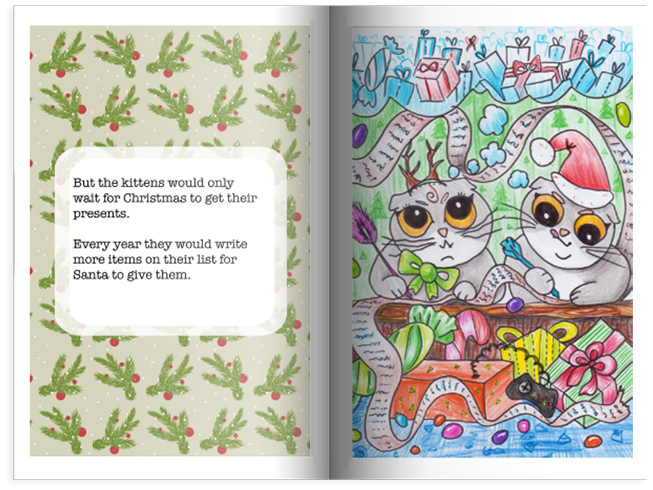 What do you think about these new Christmas books for kids? Happy first day of winter! 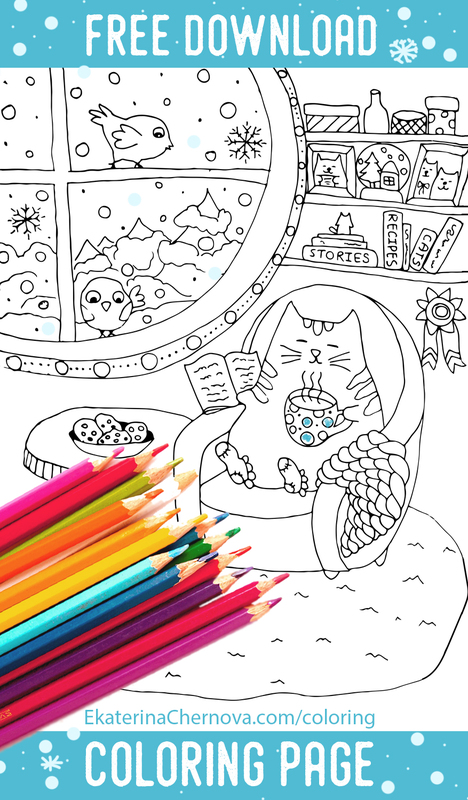 And here is a free download – winter cat coloring page for you. light a candle or two – fire just makes the room cozy and welcoming. If we had a fireplace here, I’d keep it on. we even played a video game where you are at the tropical island, and everyone speaks Spanish and the soundtracks are all salsa music 🙂 that sure does set you in a sunny mood. I enjoy maintaining a warm and comfy environment in the house. Then it’s very nice to grab your cup of something hot, come to the window and watch the rain. It’s all about the balance. 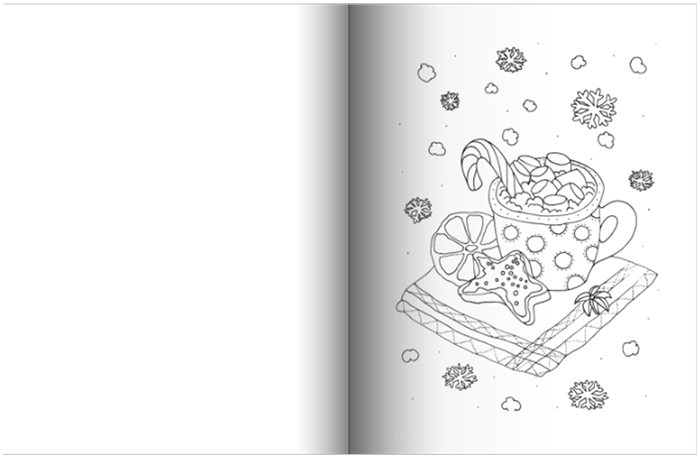 Coloring T-shirts Are In – A Fun and Useful Gift Idea For Coloring Enthusiasts! 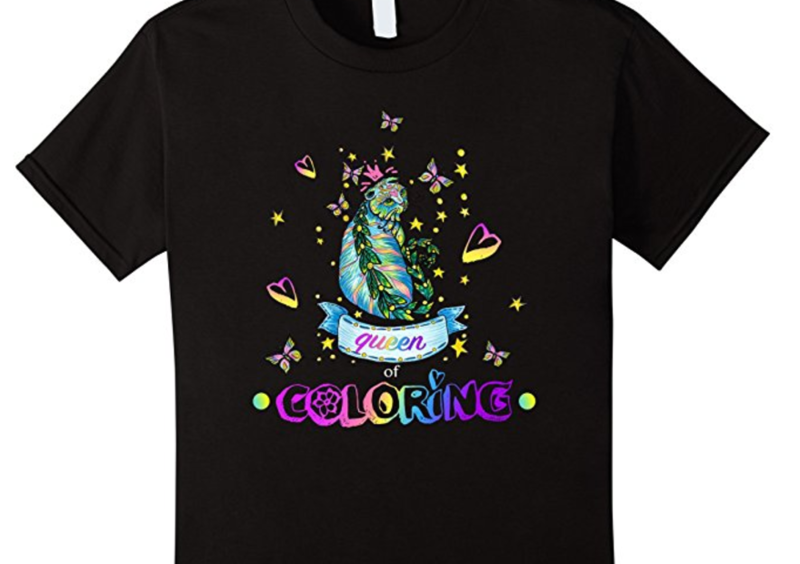 I have designed some Coloring Tees for you. I like the “Queen Of Coloring” one 🙂 Which one is your favorite? 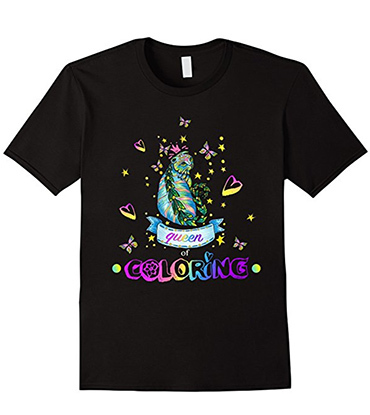 All coloring t-shirts come in different sizes and in color black. Why? So the design colors pop. 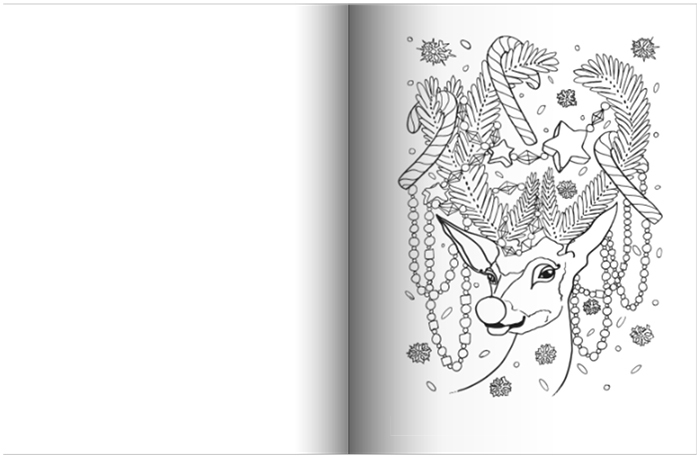 And it won’t get stained when you use you coloring pencils. 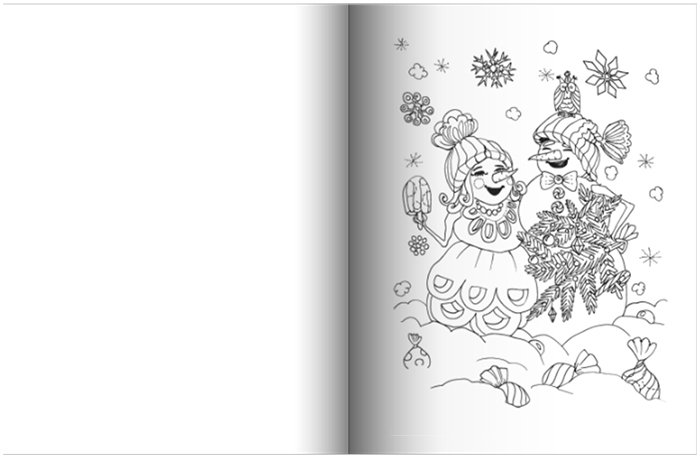 Also, it will not reflect on your coloring page – you can read more about this here: What To Wear When Coloring?